Jon mingles with your bar mitzvah guests, performing unique and cool close-up magic and mentalism —— not just cards, but tricks that are far different from what’s out there today! Magic will even happen in your guests’ own hands! See why Jon Finch is one of the most requested bar mitzvah strolling close-up magicians in Chicago. Finch can mingle with your guests, offering bar mitzvah entertainment while the reception is happening. 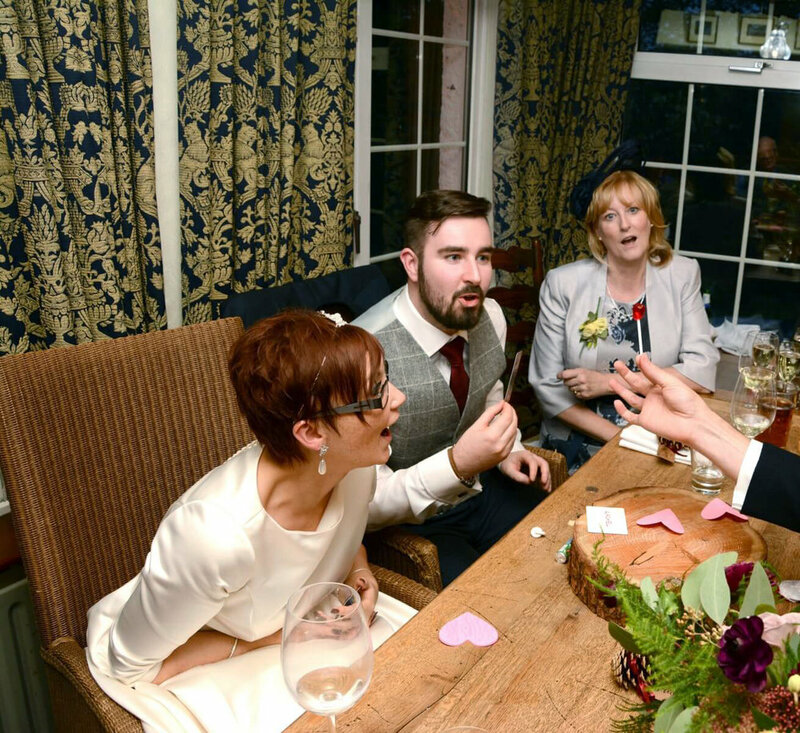 Amazing magic is engineered to break the ice and put your guests at ease. A child's happiness is priceless--especially on his bar mitzvah. That's why Jon Finch loves performing close-up walk-around magic and mentalism during the bar mitzvah. Nothing is more magical than magic when it's performed right in your own hands. You can hire magician Jon Finch for your son's bar mitzvah, and then your son and his friends will have the lingering magical memories throughout their lives. Don't leave it to the last second. It's never too early to book entertainment or at least secure the date.